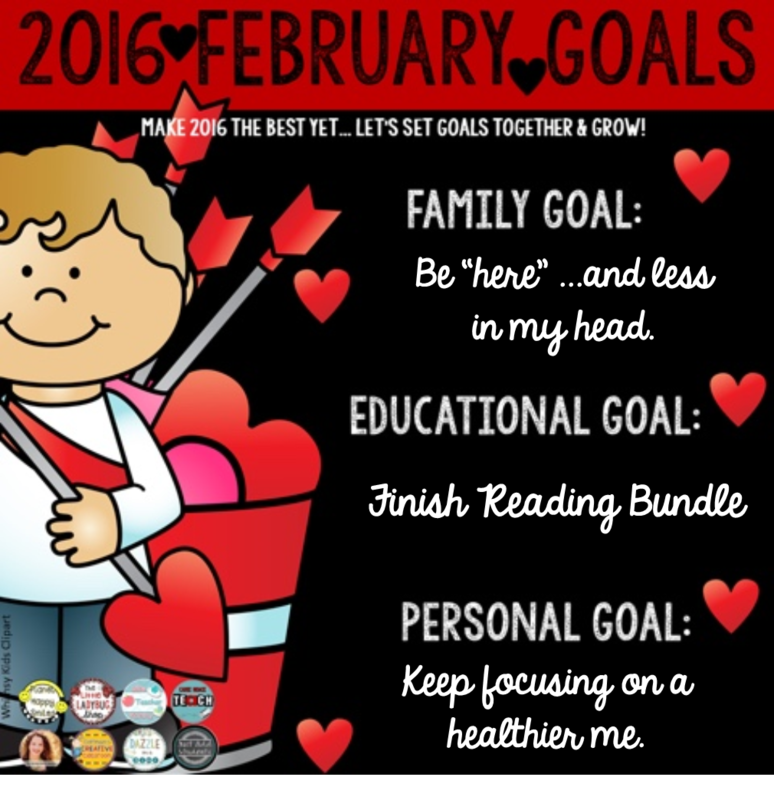 As I was reflecting on last month's goals, I had to really step back and refocus. I am going to be honest with you. I accomplished every goal last month but the MOST important goal, which is my family goal. 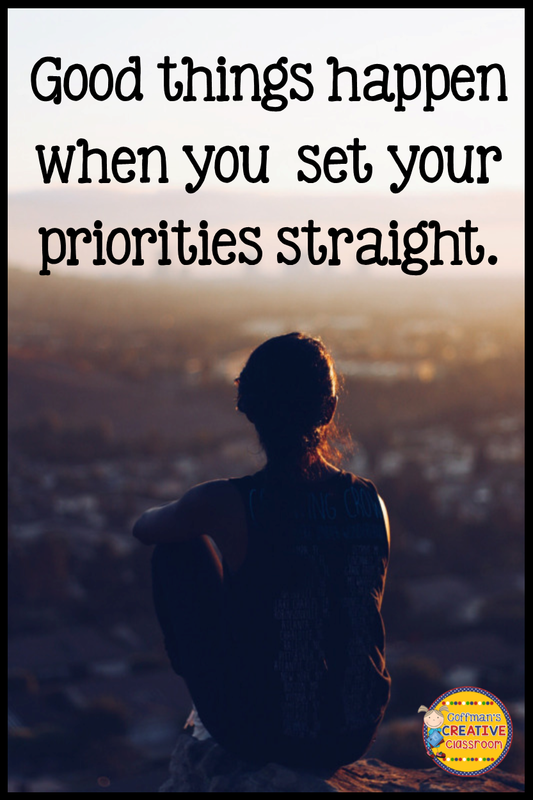 I don't know about you, but I have a very difficult time focusing on all of my goals at once. If I spend a lot of time focusing on one goal, my other goals suffer. I am trying very hard to "do it all" but I just can't. 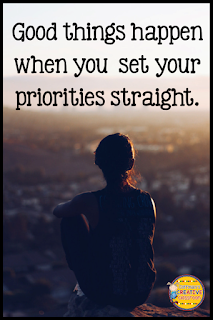 It comes down to a lot of prayer and prioritizing. Lucky for me, my family loves me just the way I am and are very forgiving. So here is to starting fresh and trying my best to prioritize. Here are my goals for February. My family goals this month are to be "here...and less in my head. When I was typing this I thought maybe I would change it because it sounds bad. Really? Less in your head I thought. This is exactly how I feel. I am always thinking of what I am going to do next, what I have to do tomorrow, what I did yesterday, how am I going to find time to fit this and that in, what needs to be cleaned, blah blah blah...Therefore, I set a goal to be here in the now. Focus on what is important now. The reason I put this under family is because they are the ones that suffer the most from me not being "here". They deserve the best me! My educational goal is to finish my reading bundle. I have been working on it for months and just need to put final touches. I have put it off for too long. My personal goal is to keep focusing on a healthier me. Spiritually, emotionally, and physically. I have been working on every aspect and want to continue! Thanks for taking the time to read my goals! I would love to hear your goals and reflections. Join us! 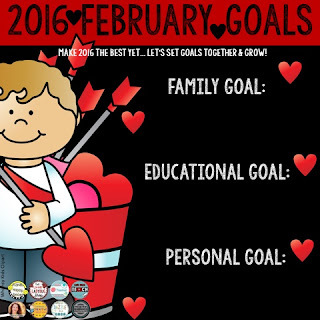 We are setting realistic goals each month in 3 areas. Copy my image below to set yours! Wow Jill! What a great family goal!! I need to do same!!! Be present/ be here!! Love it! Thanks girl! It is so difficult! What a wonderful post! I also need to focus on being less in my head as well! I find writing down that never ending list helps somewhat. I like Google Keep for that.